Actually no XULRunner (Mozilla rendering engine which is used by XPiNC) based functionality of the client is working. I have analyzed the problem and found that the rcpinstall.properties file in the workspace does not point to the XULRunner plugin which has been updated for Notes 9.0.1. 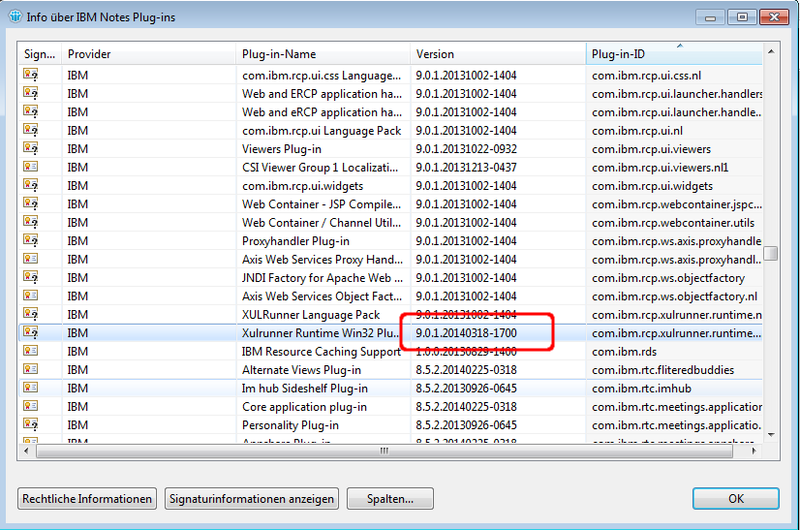 Maybe IBM will provide Fix Packs with newer versions of XULRunner in the Future. So maybe it is worth to double check if the above path is still correct. The easiest way to find the version number is to Open the "Info" Dialog of Notes and choose "Plugin Details" and search for the XULRunner plugin. Then use the version number shown for the change in the rcpinstall.properties. After the correction of the rcpinstall.properties file xPages in Notes should work again.